A Classic in Academic Trophy design, our 11" trophy is unique, with its Academic side-trim options! By clicking the "CUSTOMIZE THIS TROPHY" button (above), you will choose the custom trophy components that create a unique Academic Trophy. 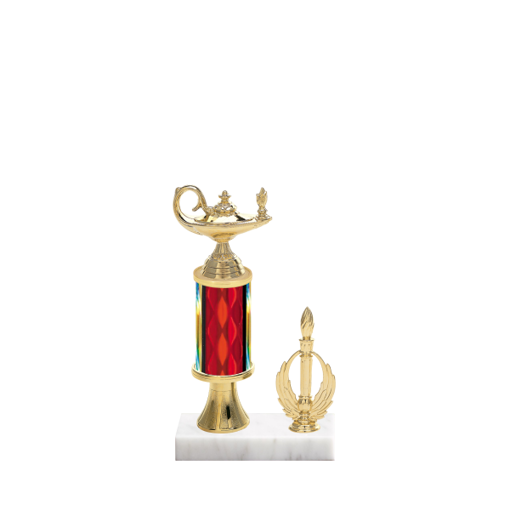 With Academic Figurines, selected column colors, and side trim to marble color, literally 1000's of options, with FREE engraving are just a mouse click away.